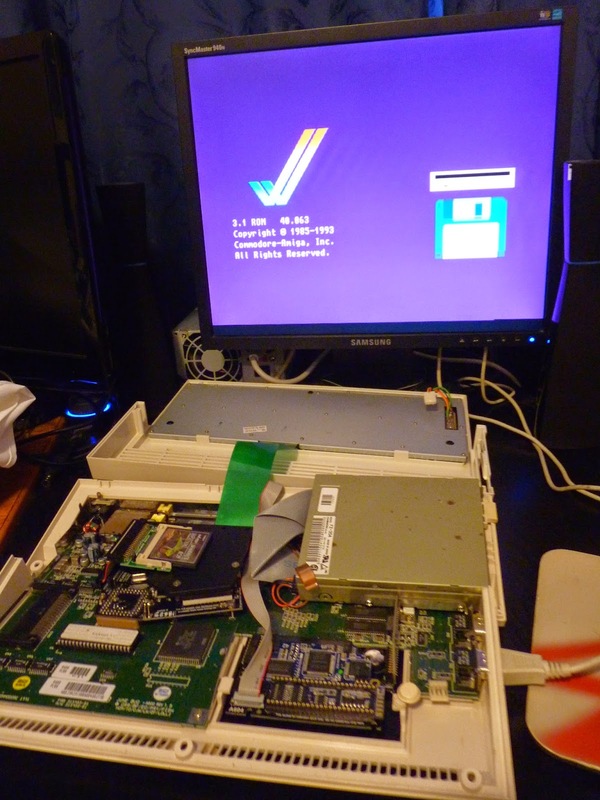 Today I am continuing work on my Amiga 600 project, with the installation of the ACA630 accelerator and hard disk. 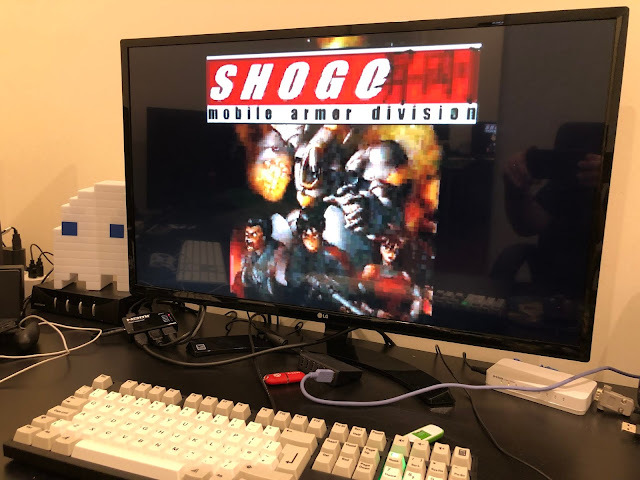 If you haven't been following the build closely up to now, I suggest starting from the beginning of the build - all steps for this Amiga 600 project have been covered in this blog! 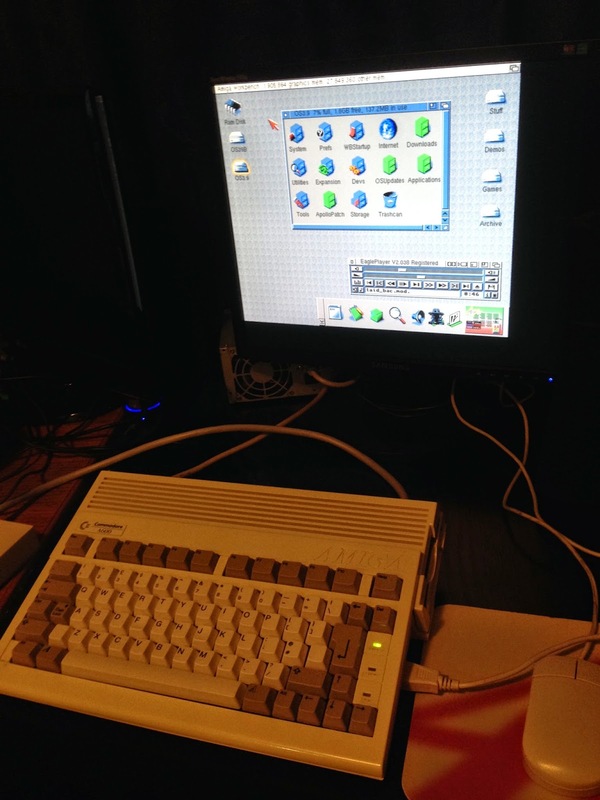 The ACA630 Accelerator above is a 68030 CPU Accelerator for the Amiga 600, running at 25Mhz. The board is made by Individual Computers. It also has 32MB FAST memory onboard too! Unfortunately this accelerator is no longer available to purchase, but you can get a slower ACA620 accelerator running a 68020 and 16MB Fast memory from AmigaKit. If you just want to run WHDLoad hard disk based games on your Amiga 600, the slower accelerator is fine for this. 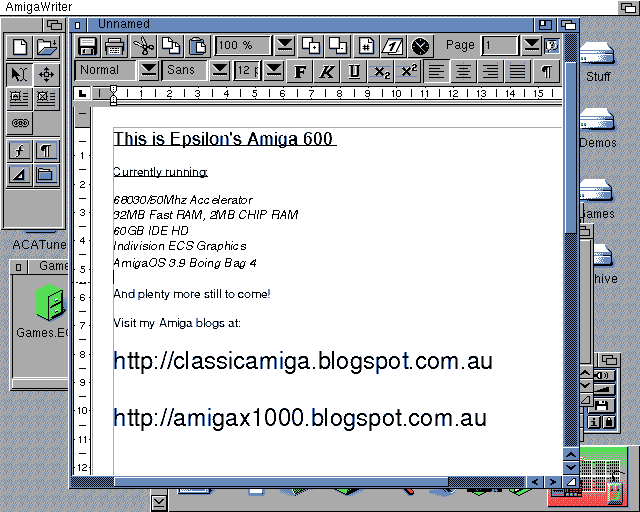 For me, I want to be able to run AmigaOS 3.9 on my Amiga 600 too, which requires a minimum 68030 processor to run. You can even set a jumper on this accelerator board to force the Amiga 600 to boot an external floppy drive as DF0, a useful feature! This accelerator is installed over the top of the 68000 processor on the Amiga 600 Motherboard. This board runs hot while in operation - very hot. It has this large heatsink black cover to spread the heat across the board, but I think it does need a fan! Having said that, I haven't seen any problems running it as it was supplied. There are screws that line up with the existing holes on the Amiga 600 motherboard that were used for the hard disk caddy that I removed at the start of this project - I knew this accelerator couldn't be used with the hard disk caddy installed. It has a jumper on it to allow you to change it from Master/Slave, to Slave/Master mode. This allows you to add another hard disk or other IDE device without issue. My concern was that the heat from the accelerator would cause issues for the ribbon cables crossing over the accelerator preventing heat from escaping as easily. As it turned out, I ended up with a bigger problem to deal with. I quickly hit a problem. No boot on Kickstart 3.1 ROM. Close up of the Workbench 2.04 screen showing the extra 32MB fast memory. But no matter what I did, I couldn't get the kickstart ROM switcher to successfully boot the 3.1 kickstart ROM with the Accelerator installed. I removed the Kickstart ROM switcher, and installed the 3.1 kickstart ROM directly in the Kickstart ROM socket on the motherboard - this worked, so I guess there is some issue between the accelerator and the Kickstart ROM switcher. Then started my frustrating day trying to get the CF Card recognised and formatted in HDToolbox. I am aware of the process to prep a CF Card on a real Amiga. 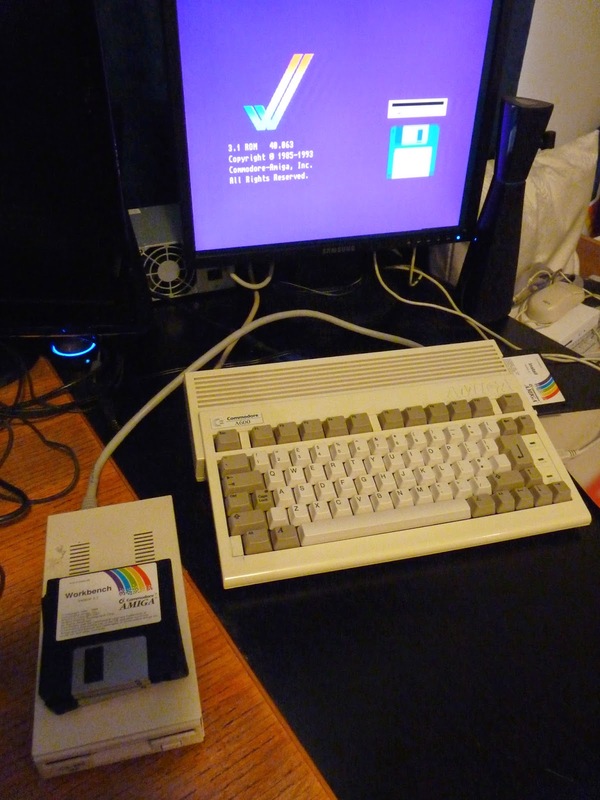 I should explain that I don't have a CF card reader on PC or Mac to prep the card in WInUAE (the usual method), which forces me to use the Amiga 600 to do it. 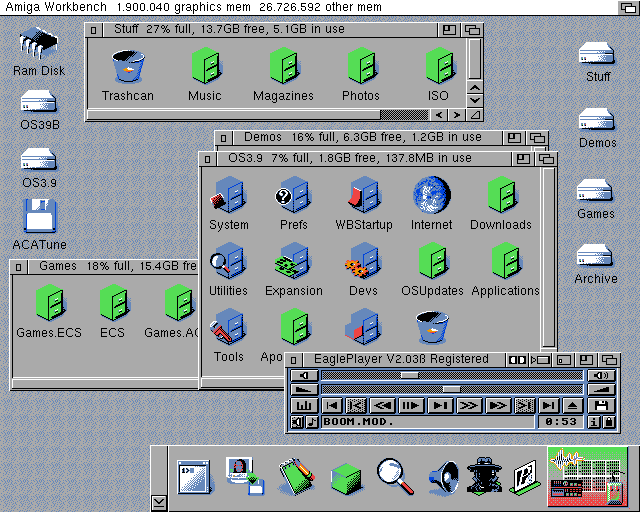 As is well known to Classic Amiga users, Workbench 3.1 has a 4GB Hard disk size limit, with a 2GB partition size limit. Hence the purchase and use of a 4GB CF Card. You can of course prep a hard disk bigger than 4GB if you want - once you have upgraded the default scsi.device driver to a "fixed" version that can address larger drives. Until then (and for the initial Workbench 3.1 install), the first 4GB only can be addressed, regardless of the size of the drive. What the hell! It would not let me save the configuration to the drive. I tried two other CF Cards I have, a Kingston 4GB and a San Disk 2GB, and none of them would let me write to the card. I tried a spare IDE to CF Card adapter, and a different IDE cable - but no change to the error experienced. I removed the accelerator and no change also. I wasted many hours on this problem and I got very frustrated with it! Without a CF Card reader on my PC/Mac, I have no other method to prep this card, and this leaves me stuck at this point! Fortunately....I have another plan B just in case. This hard disk was formatted with 2x2GB partitions under Workbench 3.1, and then Workbench 3.1 was installed, followed by an upgrade installation of AmigaOS3.9 on the same partition (then Boing Bags 1,2,3 and 4 installed. After this I then installed SFS file system, and used SFS to partition the remaining space on the 60GB drive for loading all my favourite music, demos, games and other stuff. I have concerns about the heat effects on the hard disk from the accelerator, but at this moment this is the only mounting spot available that allows me to close the case. I will have another think about what I can do about this later on. I then installed sgrab (downloaded from Aminet on my A4000T and transferred via floppy disk) to allow me to take screenshots from the Amiga 600. I then copy the resulting images via floppy to the A4000T and use it's USB support to transfer the images to the X1000 to upload to the blog. Whew! The eagle-eyed (yes the pun is intended) readers would notice I also removed the background patterns for the Amidock, as the background looked pretty awful in 8 colours. It is great to achieve what I set out to do today, although I did have to make some compromises with the kickstart ROM switcher and the CF Card to make it all work. Maybe I will revisit the CF Card prep later on if I can sort out a CF Card reader on my PC, or of one of my blog readers has some other suggestions I haven't already tried out today! Still, there is much more to do. I will look at the Subway USB installation next time! An ACA630 @ 50MHz? I don't think so. 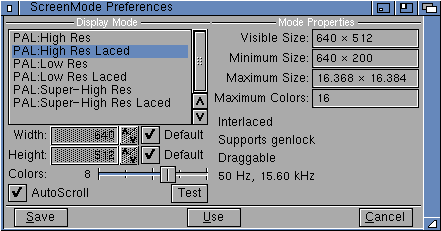 The 32MB version is 25 MHz and the 64MB version is 30 MHz. But it looks really nice, no doubt about that. Surely the minimum spec for 3.9 is a 68020 not 030?